Washington summers can be unpredictable to say the least. There is an old adage most Washingtonians are familiar with that states that our summer here begins on July 5. This means that when the kids are out of school in June, it can still be a bit soggy. Fortunately, there are options to get the kids moving despite the less than ideal summer weather. How about doing some bowling for free? 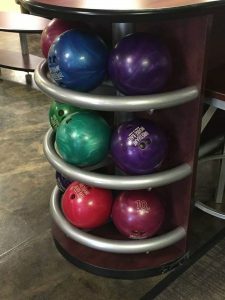 I was amazed when I learned about this program from Dan Brathovd, owner of Aztec Lanes. It can be difficult for parents to find affordable and fun activities for their kids during the long summer months. Aztec Lanes has the answer. Brathovd has been offering this program at Aztec Lanes for almost a decade. “When I first heard about the program, I was admittedly a bit skeptical,” says Brathovd. “I was excited to offer something to the area kids, but I figured it was going to be a financial loss.” Instead the program has helped to introduce people to bowling and created new family traditions. The national program called Kids Bowl Free is offered in most states at selected bowling alleys. Registered kids under 15-years-old can bowl two free games each day throughout the summer. I love the fact that the kids can come in on their own and bowl without parents. There are so many places that do not welcome unsupervised kids. Aztec Lanes has found that the kids are well behaved and thrilled to be there. “The kids are welcome to come in on their own, but we find that they really love to come back and bring their parents as well,” says Brathovd. Bowling is a fun activity any time of year and many families that start by bowling for free will continue to bowl throughout the fall and winter season. Summer is also a great time for adults to try out a bowling league. Many people who aren’t ready to commit to a long bowling season can check out the abbreviated summer season league, which lasts 12 weeks and begin in May. Looking for a fun couple activity? Join a mixed-doubles league, which features nine pin no-tap rules. For those unfamiliar with bowling vernacular this simply means that knocking down nine pins is considered a strike. You don’t need to get all 10, which can be difficult for the amateur bowler. Knocking down the remaining pins to equal a spare which gives those of us who aren’t regular bowlers a fighting chance. 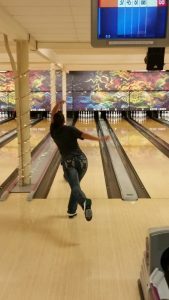 This type of bowling gives bowlers more success and translates into more fun and confidence in the sport! Summer trios are another unique way to join in the fun. A 12-week program on Tuesday evenings from May through July, three adults compete against each other. 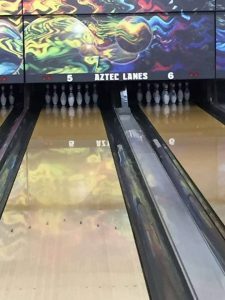 Join a couple friends and create a trio, if you are a solo bowler don’t worry Aztec Lanes is happy to find you a group. Mix and Match Bakers Bowling is back for the third season. In this bowling game, the emphasis is placed on the team score versus the individual. The bowlers split the frames and the score is accumulated by adding up all the frames. This style of bowling was originated by Frank Baker in the 1950s. At the time, he was the President of the American Bowling Congress and thought that switching bowlers each frame would be more appealing to spectators. Mix and match means that the teams can be of any gender combination. The Baker method works well at the high school level to keep the student athletes engaged and promotes a team atmosphere. Teams from North Thurston, River Ridge and Timberline all call Aztec Lanes their home and practice and compete there during the high school bowling season in the Fall. 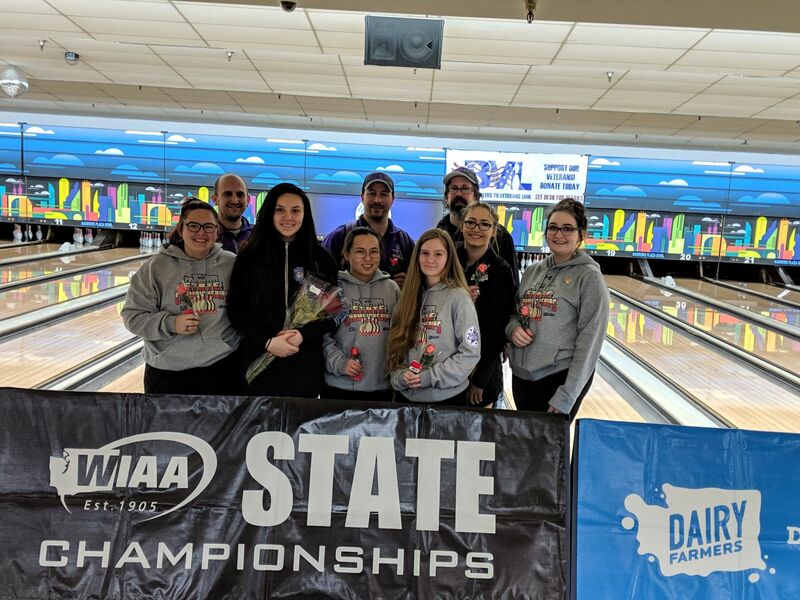 Dan Brathovd coaches the North Thurston team and has taken them as far as the Washington State Bowling Championships. When the summer weather does hit the Pacific Northwest, Aztec Lanes is fully air-conditioned and a great place to escape the heat. A full snack bar is open during bowling hours, so bowl a few games and enjoy some nachos or a tasty sandwich for lunch. For more information on all the summer fun, visit the Aztec Lanes website. Visit the Kids Bowl Free website to find out more about this wonderful summer program for kids and how to register.